Along with their Canadian Cyber Monday Deals that we blogged earlier, Hudson's Bay also their one-day deals and today is a nice one! 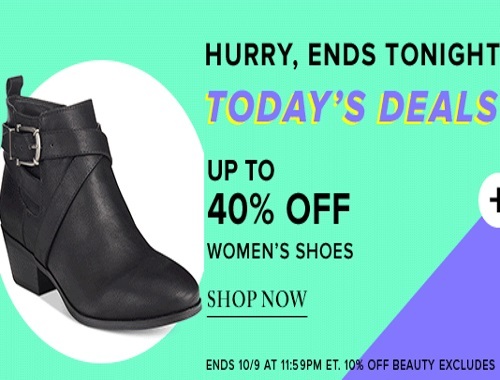 Save up to 40% off Women's shoes and an extra 10% off makeup, skincare and fragrance products! Enter the promo code BEAUTY to get the discount. Offer is valid for one day online online today, Tuesday, October 9, 2017.